Home Computing Technology Videos Crazy Apple Store Freak-Out Lady Goes Viral... Thanks Porscha! Crazy Apple Store Freak-Out Lady Goes Viral... Thanks Porscha! The video is very poor quality and short (on loop), but it's gone viral all thanks to actress, Porscha Coleman. 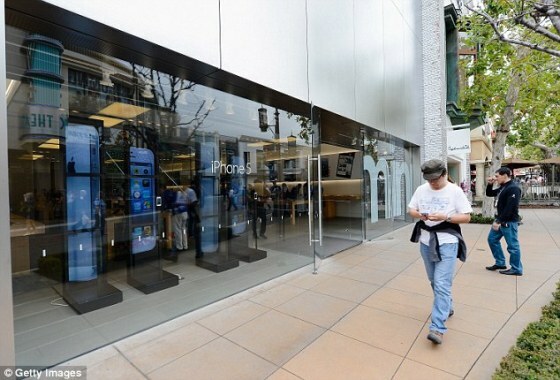 The incident occurred when an unidentified woman entered the Grove Apple store in Los Angeles pushing a stroller and asked for some parts for her phone... a staff member at the Genius Bar advised her that if she didn't have an appointment she would have to wait. When she was given the bad news, she began screeching at the top of her voice, "I was told by Apple care that I could walk in the store and get the parts!!".. all the while taking it out on her poor baby by smacking her hand into the pram. In the video, stunned customers and staff can be seen looking over in absolute bewilderment. Actress Porscha Coleman captured the video, looped it and posted it online. It has since been shared thousands of times on social networking sites (including also now, my blog). 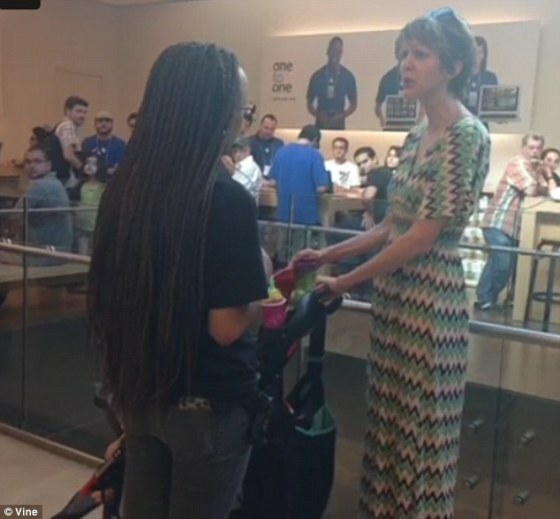 Porscha captioned the short video: "This lady is goin OFF in the Apple Store! LOL U don’t have an appointment, lady!" Below is a picture of Porscha - now I'm wondering why it really went viral?? We can set that as our ringtone and annoy everyone around us!